Mississippi emergency workers say that a dying woman was hard to understand, but many say they heard her say that someone named Eric had set her on fire. At least six firefighters and paramedics testified Tuesday they heard Jessica Chambers say what they understood as Eric. Earlier, a speech pathologist testified that Chambers was so severely burned that she wouldn’t have been able to produce “articulate” sound. 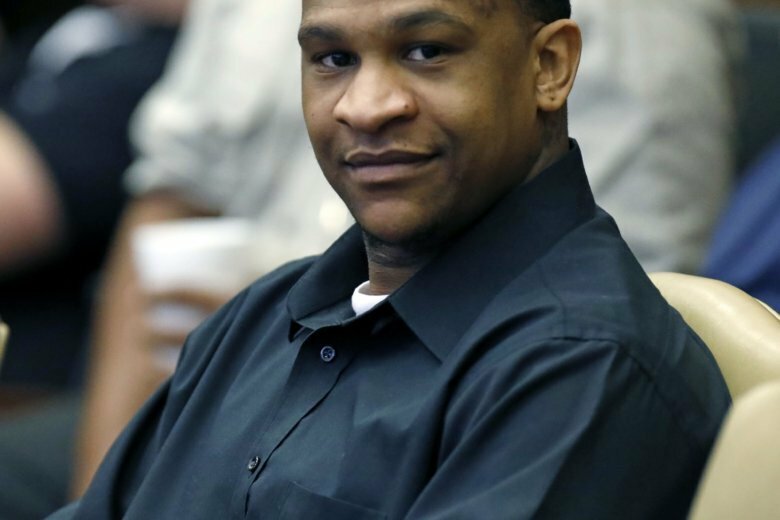 The five men and one woman testified Tuesday in the capital murder retrial of Quinton Tellis, who is accused of killing Jessica Chambers in 2014 by setting her on fire. Jurors couldn’t reach a verdict in the first trial last year. Tellis’ defense lawyers say prosecutors have the wrong man on trial and are urging jurors to believe what firefighters, paramedics and others heard on a roadside on the outskirts of rural Courtland. Prosecutors say evidence including cellphone locations, video, DNA on a keychain, Tellis’ statements and a witness point to him killing Chambers. At least four Mississippi emergency workers say they heard a dying woman tell them someone named Eric had set her on fire. The men testified Tuesday in the capital murder retrial of Quinton Tellis, who is accused of killing Jessica Chambers in 2014 by setting her on fire. Jurors couldn’t reach a verdict in the first trial last year. Earlier Tuesday, a speech pathologist testified that Chambers was so severely burned that she wouldn’t have been able to produce “articulate” sound. Prosecutors say evidence including cellphone locations, video, DNA on a keychain and Tellis’ statements point to him killing Chambers. A speech pathologist says a Mississippi woman who suffered fatal burns could not speak clearly after she was set on fire. Carolyn Wiles Higdon testified Tuesday in the trial of Quinton Tellis, who is being retried for capital murder in the 2014 death of Jessica Chambers. Jurors couldn’t reach a verdict in the first trial last year. Higdon says Chambers was so severely burned that she wouldn’t have been able to produce “articulate” sound within two to three minutes after she was burned. That testimony could help undercut a key defense argument — that multiple emergency workers heard a dying Chambers say someone named “Eric” attacked her. Defense attorneys urged jurors to trust that testimony — a foundation of their arguments in the first trial. Prosecutors say evidence pointed to Tellis killing Chambers. Prosecutors say evidence will show a man killed a Mississippi woman by setting her on fire, but defense attorneys say prosecutors can’t prove it and that someone else killed her. Quinton Tellis is being retried on capital murder charges in the death of Jessica Chambers in 2014, after jurors couldn’t reach a verdict in a first trial last year. This trial could last a week. Prosecutors say cellphone locations, video, DNA on a keychain and Tellis’ statements link him to Chambers’ death. A new witness may testify she picked up Tellis that night near where Chambers was burned. The defense emphasizes multiple emergency workers heard the dying Chambers say someone named “Eric” attacked her. Tellis faces another murder indictment in 2015’s death of Meing-Chen Hsiao in Monroe, Louisiana.